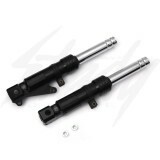 Feign SB V2 lowering forks for Honda Ruckus, Honda Metropolitan, and Honda Dio. 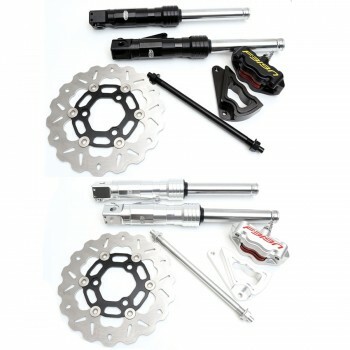 Improve handling and brake performance as well as ride comfort. 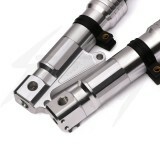 Available in full black or full silver. 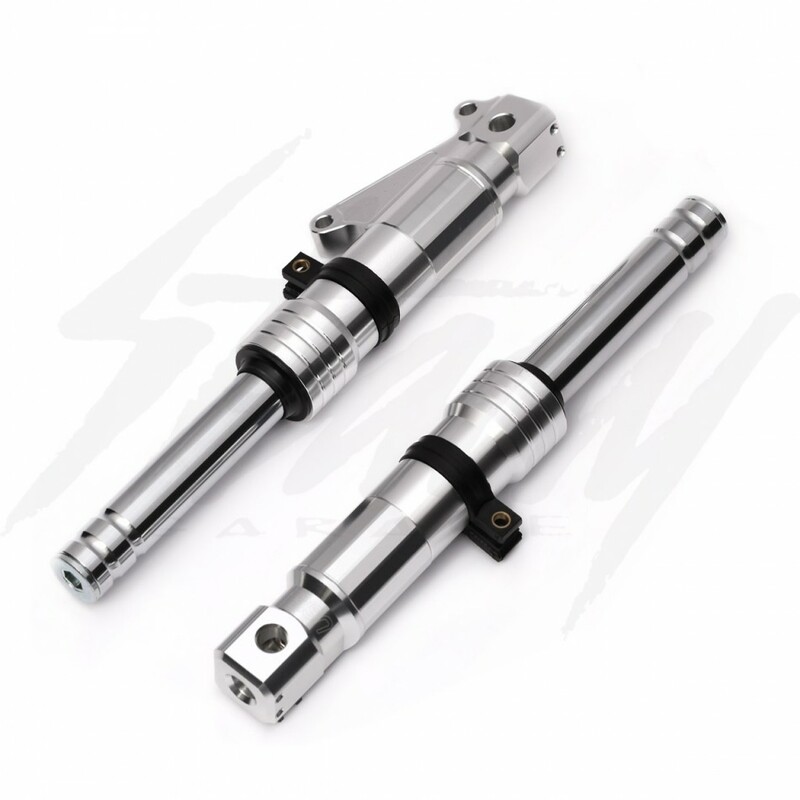 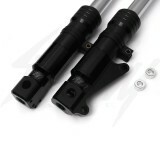 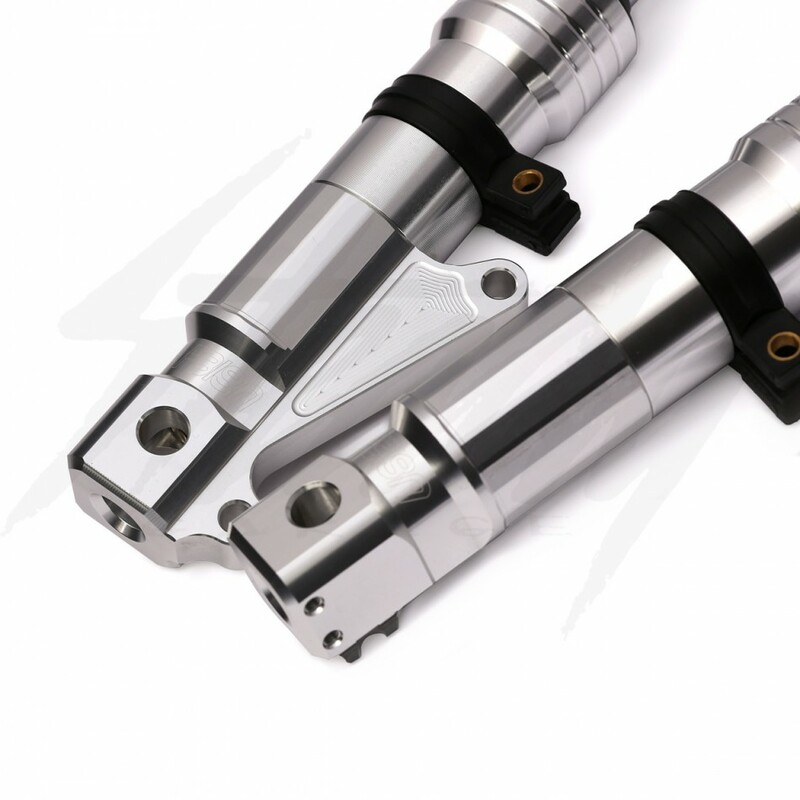 Feign SB V2 lowering forks were designed to give you maximum suspension travel with out bottoming out. 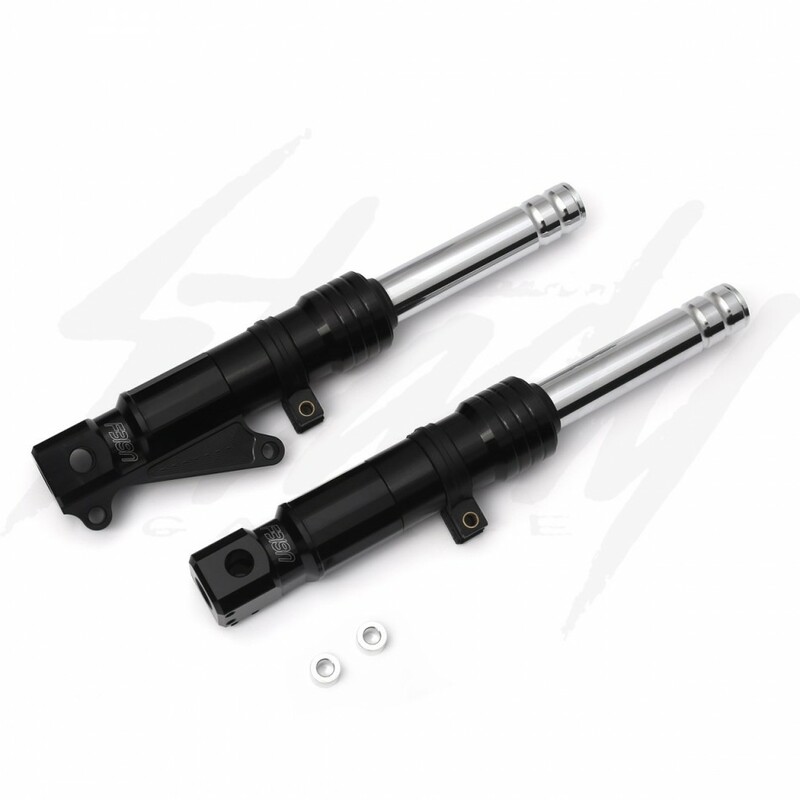 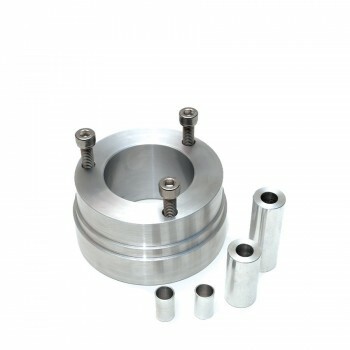 Stiffer springs, oil filled, and redesigned shock pistons that will improve your suspension performance over any other aftermarket Honda Ruckus, Metropolitan, or Dio forks on the market. 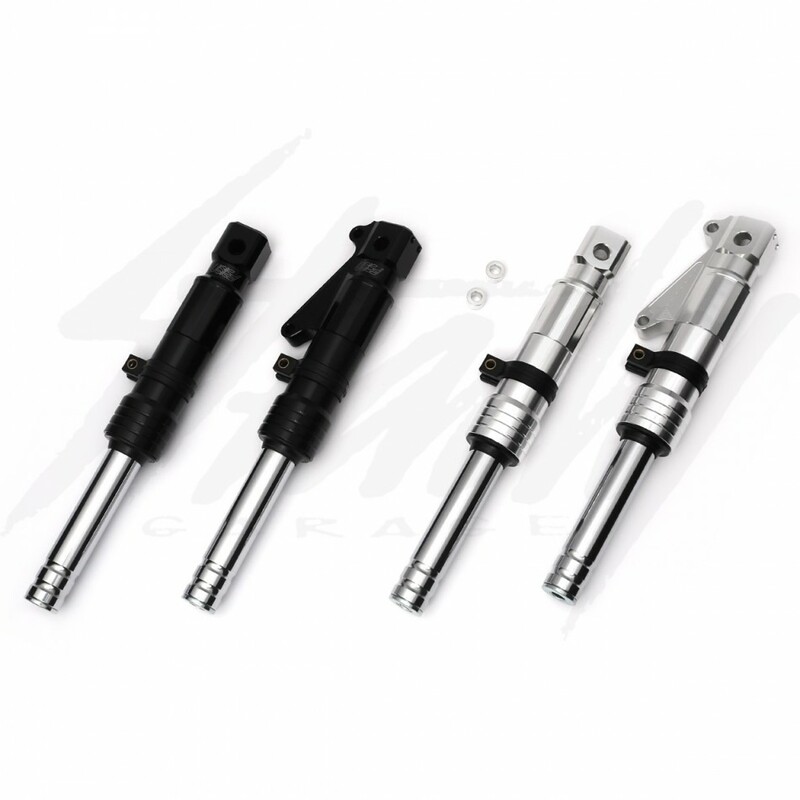 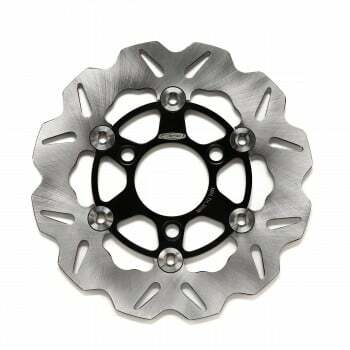 - Travel Shaft Lengh: 5.25"
- Converting to disc brake is recommended and required with these Feign SB forks.